The Cecilia Consort benefits greatly from Janet’s worldwide professional singing experience. Since graduating from London’s Guildhall School of Music and Drama, Janet has worked professionally as a solo artist and consort singer. Whilst specialising in Early Music and performing with many of the UK’s leading ensembles, her musical versatility boasts many other genres and musical styles and she has worked closely with Norfolk-based composer, Patrick Hawes, on many of his original works. Their first album Blue In Blue drew critical acclaim with Janet’s voice being described as ‘melting honey on freshly buttered toast’ (BBC Radio 3). Her ‘bell-like tones’ (Financial Times) are often heard on TV, film and radio as well as on numerous classical and pop CDs. Janet enjoyed 23 wonderful years with the Tallis Scholars and performed in more than 900 concerts world-wide with this world-renowned ensemble. She continues to perform and record but her love of teaching means she spends more time in the UK these days. Janet is Head of Choral Studies at Cheam School and enjoys working with her ever increasing ‘family’ of students and choristers. Janet and David Woodcock (Head of Music at Harrow School) are both Directors of the newly formed 'Early Music Academy' which enjoyed a hugely successful inaugural summer season in 2015. Janet and David also ran their first US season of the EMA Summer School in Boston in 2017. 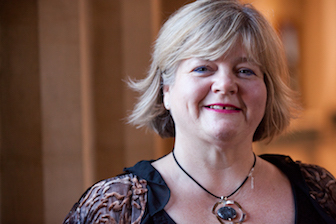 As well as a busy performing schedule, Janet enjoys adjudicating choral competitions, leading singing master classes and running choral workshops, she especially loves working with and training amateur singers. She lives in Highclere (Downton Abbey land) and has enjoyed a long and fruitful association with several Newbury based choirs including ‘Newbury Choral Society’, where she is Assistant Musical Director. Janet's photo by Simon Crompton-Reid.